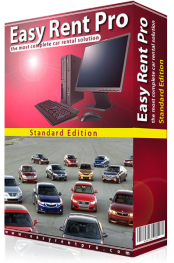 EasyRentPro is released as a shareware. You may use a demo version for evaluation without any limitations. The demo version has the same functionality as the full version with the exception that it is accessible for 30 days. To make permanent use of the software you can to purchase a license that matches your fleet size. As soon as your fleet size exceeds your license vehicle limit you can purchase an upgrade to adjust the number of the maximum vehicles allowed by the system.